The Update Intelligence Nucleus believes in the power of stories. And stories about a new way of doing politics are essential if we are going to get through the current crisis in the region and the democratic world. Our approach involves understanding and analyzing emerging political behaviors in Latin America from different perspectives. Our goal is to produce knowledge, languages, formats and accessible narratives that tell stories about a new, possible politics, as well as about what is already underway in this field. We use a combination of methodologies that explore human behavior, looking at new ways of living in society in the 21st century through a positive, proactive lens. The team is made up of young political scientists, journalists, economists and arts producers who are engaged in political innovation. Our approach values and incorporates the discoveries made along the way, allowing them to impact objectives, plans and data segmentation. This approach considers verbal and non-verbal elements as well as understanding plurality and contradictions as foundations of both individuals and of society. People have different levels of involvement and influence in a social world. We must recognize these different levels and adjust the value we place on certain information accordingly. We must also consider individual points of view within the context of the study. The depth and engagement of the interviewee depends on their perception of the interviewer. The interviewer needs to know and utilize the same codes and references in order to reach deeper and more sensitive points in the conversation. Our research is always carried out by people who work on the themes investigated, allowing for understanding based on a connection between equals. The first phase of the study mapped 700 Emerging political initiatives in 20 Latin American countries. Through developing our own classification system and working with the data, we found fifteen trends that stimulated political innovation in the region. This first effort helped us define the countries, initiatives and individuals we would interview during field research. HUBS: the actors in the ecosystem, formal and informal organizations. SIGNALS: the projects, tools and actions of the ecosystem that work on different themes. Themes: Citizen Participation, Government 2.0, Transparency and Accountability, Public Oversight, Political Culture and Independent Media. The citizen takes responsibility for bringing about the social transformation they want to see. New languages, narratives and approaches that diversify the cognitive possibilities of both citizens and actors in the field. Processes, products or services put citizens at the center of their actions. Actors adopt transparency practices for all aspects of politics. Civil society mobilizes to occupy political institutions, leading to new electoral experiments and new forms of political organizing. We chose the interviewees and countries for field research based on what appeared most frequently among the actors, themes and tendencies identified in the mapping phase. In order to understand the context in which innovation emerges in each of the countries as well as to look closely at the histories, challenges, visions and dreams for a different, emerging Latin American politics, we used methodologies from qualitative research such as open-ended interviews, project visits and interviews with specialists. These interviews last 1.5 hours and occur in a place that the interviewee determines best represents them. The interviewees came from different areas related to politics and develop the initiatives identified in the mapping process. The three goals of the interviews were: to understand leaders’ profiles based on their engagement trajectories, to understand the challenges when innovating in politics and a vision for the future of politics in Latin America. Interviews with specialists and thought leaders including political scientists, sociologists, economists and journalists allowed us to investigate national political dynamics and the challenges of the democratic systems of each country. This methodology seeks to understand the socio-political context in which political innovations emerge in each country, as well as the impact they have on institutions. This group of interviews involves an immersion in the world of the interviewees. The conversations happen in the places of work and spaces in the city where political innovation practices take place. This method allows for the discovery of elements not found in discourse. The phrase ‘political innovation’ first brings to mind images of technology or an intangible, vague idea. Analyzing and seeking a deeper understanding with people who are innovating is the route we have chosen to make sense of the term, which is now being used more and more frequently. Political innovation can have many dimensions and definitions. Instituto Update is interested in understanding the people who are bringing citizens closer to politics and contributing to deepening democracy in the region. The mapping was not based on the use of digital or disruptive technologies like mobile apps and platforms. Even though innovation is a youth practice, the study did not consider age specifically. There are no inter-generational comparisons. This research was not conducted using academic terms and definitions. It does not present quantitative or comparative results. There is no party-based ideological orientation, although there is a belief in progressive thinking. 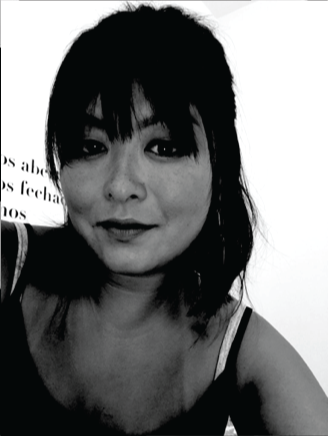 A journalist and cultural producer, Jonaya organizes experimental laboratories, closely observes state violence against people and remixes content for the construction of the timeline. Jonaya is part of the Update Intelligence Nucleus. 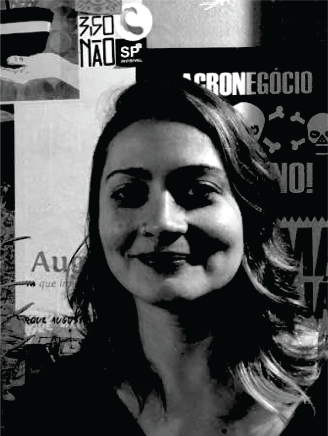 Beatriz Pedreira is a social scientist (PUC – SP) and researcher of new political behaviors. She has more than eleven years of experience in public and political innovation, including at organizations such as BRAVA Foundation, CLP and Instituto Tellus. She co-created the research ‘Brazilian Dream of Politics’ from Box1824, which identified the political behaviors of the Brazilian youth. 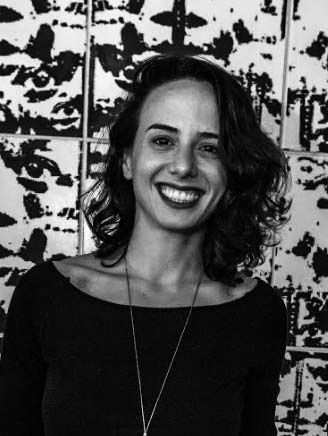 She is a co-founder of Instituto Update, an organization that studies and promotes political innovation in Latin America, where she is Director of Research, mapping new initiatives and political behaviors in the region. She was presenter of the TV series “Politica Modo de Usar” in GloboNews – a brazilian news channel. Larissa has a public relations degree from Unesp. She believes that reality is the best thing to dream up and because of this dove deep into the world of executive producing and project and community management, working in festivals, collectives and nongovernmental organizations. Larissa is part of the Update Intelligence Nucleus. 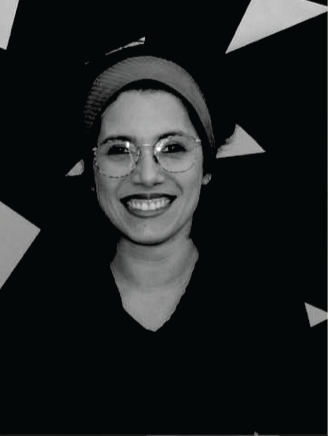 With degrees in communication and social innovation, Luciana researches behavior and culture, innovation strategy and creativity methodologies. She believes that understanding behavior will make way for future changes and help us understand where we can create impact and culture change for something bigger and better. Luciana works between Brazil, the United States and Portugal and is part of the Update Intelligence Nucleus.